The UN’s International Organization for Migration (IOM) recently drew attention to the disintegrating situation in the Democratic Republic of the Congo (DRC) and appealed for desperately-needed funding to address the humanitarian emergency. The IOM warned that the country’s ongoing constitutional crisis, along with rapidly spreading violence, deadly flooding and a cholera outbreak, have pushed the country to its ‘breaking point’. With less than 5% of the necessary funding secured in 2017, programs meant to assist the DRC’s estimated 4.3 million internally displaced persons have not been implemented yet. IOM mission chief Jean-Philippe Chauzy’s appeal that “we need to see a similar level of funding to other crises” highlights a critical question: why has the international community so overlooked and mismanaged the humanitarian travesty in the DRC? How many mass graves must be discovered or young girls tortured with the active complicity of the Congolese state before the world will address the rot at the source and recognize that pseudo-dictator Joseph Kabila is the biggest plague on his people? The IOM’s warning comes as violence and repression in the DRC escalate daily. The country rang in a bloody new year as Congolese security forces fired live ammunition and tear gas into churches where citizens were protesting against Kabila’s refusal to step down as president more than a year after his term ended. At least eight people, including children, were killed in the crackdown. The government used every tactic at their disposal, no matter how unconstitutional, to stop the protests: suspending Internet and SMS, installing roadblocks and checkpoints, and even beating up priests. The country risks entering its third civil war in two decades, as desperate citizens feel that armed insurrection may be the only option to remove Kabila and restore the rule of law. The increasing violence and repression suggests that, beyond already having failed to live up to an agreement to hold elections by the end of 2017, Kabila has no intention of stepping down. Facing extremely low support and constitutionally barred from seeking a third term, Kabila has already exhausted various strategies to hold onto power. The Congolese senate rejected a proposal to hold a national census before elections after extensive street protests. Kabila then tried to reconfigure the country’s constitutional court to obtain a ruling that he could stay in power until his successor was elected. This was shot down by the national assembly. The U.S. and the EU have taken some action in response to the atrocities committed by Kabila’s government, but their endeavors haven’t been effective—and some have even been counterproductive. This month, for example, the European Parliament (EP) asked Congolese authorities to conduct an “independent investigation” into the New Year’s Eve crackdown on protests. The EP also “regretted” that elections were not held by the end of 2017 as promised and insisted that they be held in December 2018. This echoed a line taken by U.S. Ambassador to the UN Nikki Haley, who stated in October that the country “must” hold elections in 2018. These calls naively ignore the impossibility of the Congolese authorities conducting an impartial investigation into acts they themselves perpetuated, and the slim chance that Kabila will step down after he previously promised to do so—and failed both times. When not trusting Kabila’s dubious promises, the U.S. and the EU’s main response to the ongoing crisis in the Congo has been to impose targeted sanctions on progressively more senior Congolese officials. Unfortunately, it is difficult to ensure that economic sanctions on perpetrators of human rights abuses do not spill out to their victims as well. 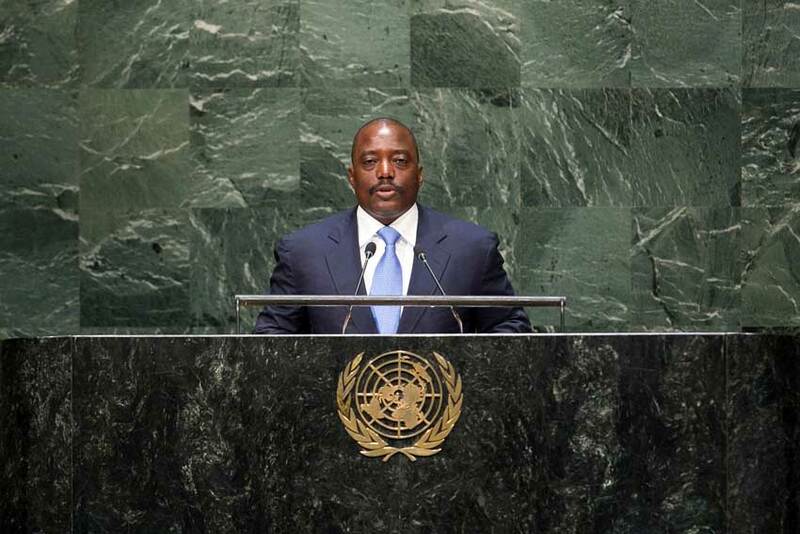 The African Union has acted even more shamefully, failing to denounce Kabila at their last summit in July 2017, when Kabila had already illegally clung to power for six months after the end of his term. Instead of putting pressure on him to organize elections, the AU gave Kabila exactly what he wanted: a resolution condemning ‘unilateral and unjust’ sanctions. The AU tried to broker a deal on new elections in 2016, but the Catholic Church pulled out due to the AU’s exclusion of the main opposition groups. Indeed, this failure to meaningfully engage with core opposition figures beyond mere words has been a recurrent theme in the international community’s involvement in the DRC crisis. As Stephanie Wolters, analyst at the Pretoria-based Institute for Security Studies, explained: “There has been no progress on any of the key confidence-building measures in the December 2016 accord. Notable among these is the release of political prisoners and the review of trumped-up legal judgments against key opposition politicians such as Moïse Katumbi.” Katumbi, a wildly popular former provincial governor, has been in exile since May 2016, when the Congolese justice minister alleged that he had hired American mercenaries for a planned coup. These allegations were backed up by dubious ‘evidence’ and immediately discounted by the U.S. Embassy in Kinshasa and other international observers. Katumbi remains in exile in spite of his popularity back in the DRC, while Kabila remains internationally recognized as the Congolese president despite his overt flaunting of the country’s constitution. Despite plenty of talk, the country is no closer to elections than it was two years ago, and the threat of additional sanctions only runs the risk of further impoverishing the population. International organizations seeking a solution would do well to look at the recent rapprochement on the Korean Peninsula. After years of sanctions which merely succeeded in isolating the North Korean regime and driving possible reformers back into the arms of the state, South Korea has opted for the carrot over the stick and will form a joint team with the North in the upcoming Olympics as part of a new strategy of détente. David Kowalski is based in Brussels and is a former European civil servant now working as an independent policy analyst.